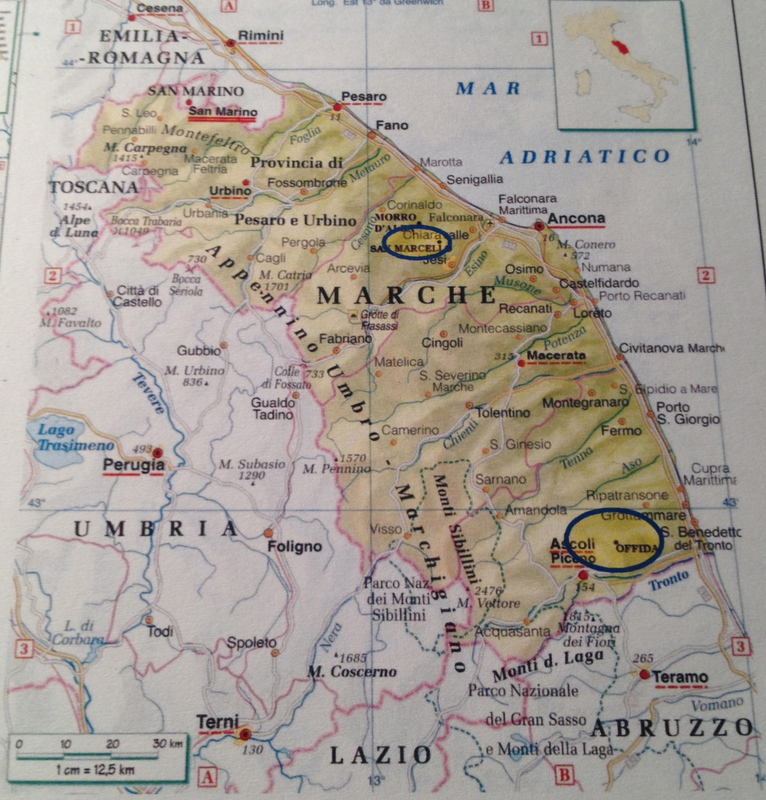 I have visited the Marche region of Italy a number of times and have always enjoyed it. Why the region is not better know in this country and more of a travel destination has always been a mystery to me. They make excellent wine and great food. There are lovely rolling hills and some of the best-rated beaches in Europe. When I was invited to a tasting and lunch for the wines of Velenosi in the Marche I gladly accepted. Angela and Ercole Velenosi established the Velenosi winery in 1984. Since then Angela has been the person behind the success of one of the largest family owned wineries in the Marche. Angela was elected the president of the Consorzio di Tutela Vini Piceni and represented the Marche region at the Expo in Milan. At the tasting Angela said the heart of the company is in Ascoli Piceno, which is about 25 km from the Adriatic Sea. The vineyards are located on hills at about 200/300 meters overlooking the valley of the Tronto River. There are 148 hectares with vines. 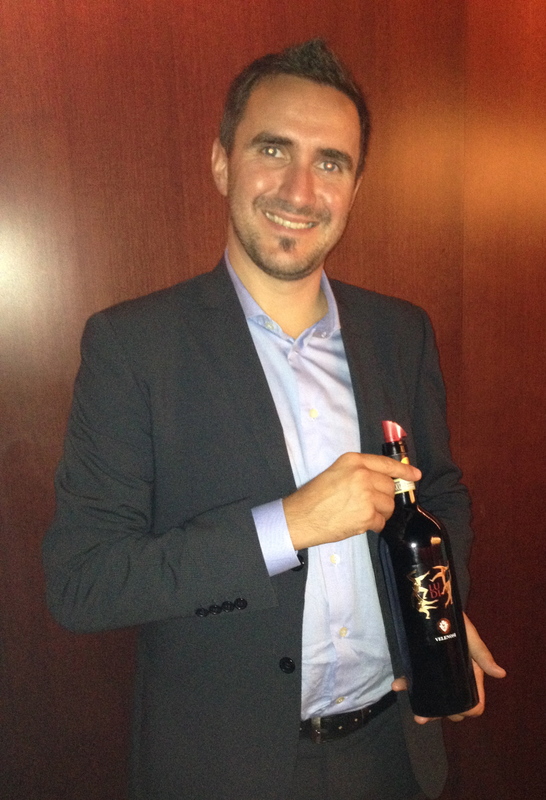 Ulisse Patalocchi La Rosa, the export manger, spoke about the wines. He is very personable and knowledgeable and gave us an insight not only about the wines of Velenosi but also touched on the wines of the Marche in general. He is very passionate not only about the wine of the Marche but also about the region’s food and culture. Passerina Brut NV 100% Passerina (Charmat method) The vineyards are at 200/300 meters, the soil is of medium texture and rather sandy, the training system is guyot and there are 5,000 plants per hectare. The grapes are hand picked and placed in 20 kg boxes. 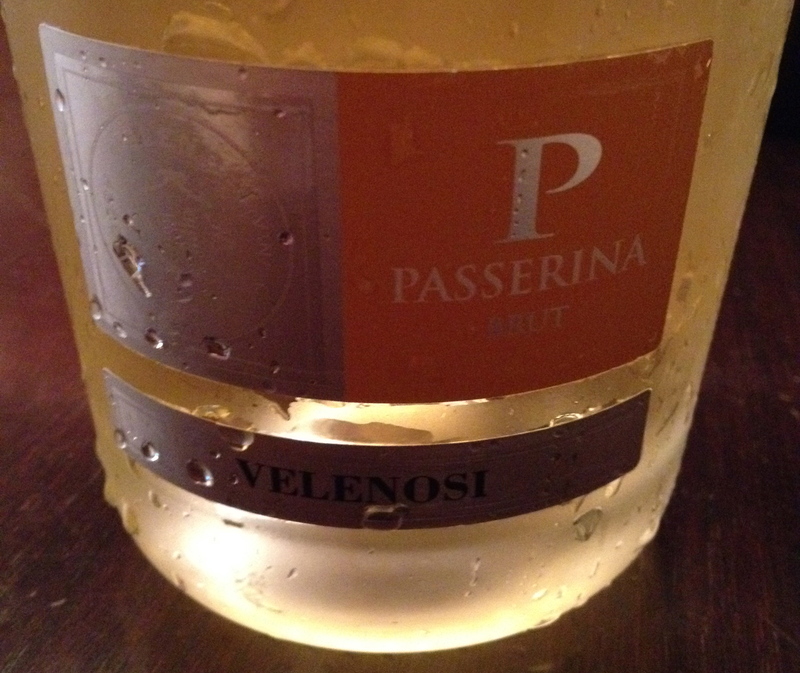 Ulisse said the Passerina grape variety with its rich aromatic properties is particularly apt for making sparkling wine using the Charmat method. The wine is fermented in stainless steel and is aged on the lees for 90 days, this is a long process called Charmat Lungo. The wine has hints of white fruit, peach, citron and a touch of bread crust. 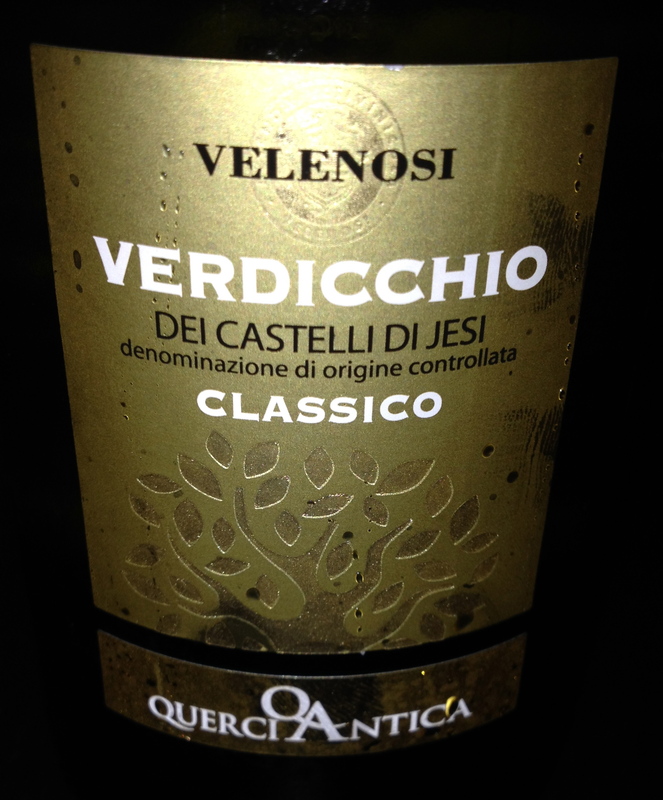 Verdicchio Dei Castelli Di Jesi DOC Classico 2014 100% Verdicchio. The vineyards are at 100 meters and they are the oldest in the original Castelli di Jesi area. The soil is of medium consistency tending toward sandy. The vines are cordon trained and spur pruned and there are 5,000 vines per hectare. The grapes are hand harvested in the morning or late afternoon in small boxes and kept cool until reaching the winery. The wine is obtained by the soft crush of the slightly overripe grapes, then pressed using a bladder press. The must is collected in refrigerated containers and brought to 5°C for static decantation before being transferred to stainless steel vats for fermentation, which occurs at a controlled temperature. Fermentation takes place by inoculating selected yeasts to prevent undesired fermentations. Ulisse said the overripe grapes and select yeasts give the wine its fruitiness and roundness. The wine has hints of green apple, honey, a touch of spice and a slight bitter aftertaste. Ulisse added that none of the white wines undergo malolactic fermentation. Pecorino Falerio DOC Pecorino 100% Pecorino. The grapes come from selected vineyards of the Ascoli Piceno and are at 200/300 meters. Soil is medium mix tending to sandy and the training system is guyot. There are 5,000 vines per hectare. Harvest is the same as above. Fermentation with inoculated selected yeasts. The wine is then stored in steel containers at a controlled temperature until sterile bottling. It is pleasantly fruity, with hints of apple, honey and spice. Rosso Piceno DOC Superiore “Brecciarolo” 70% Montepuicano and 30% Sangiovese from company owned vineyards in the municipalities of Offida and Ascoli Piceno. The vineyards are at 200/300 meters; the soil is mainly clay, tending to limestone at Offida and medium mix, tending to sandy at Ascoli Piceno. The training system is guyot and there are 5,000 vines per hectare. Harvest is by hand in mid-October. After destemming, the grapes are channeled into 200hl steel fermenting vats, equipped with a pump over system and a temperature control system. Maceration lasts for 20 days. After fermentation the wine is drawn off into aged barriques. Ulisse said they are 2nd and 3rd passage. It is full bodied, with good fruit and a hint of cherry. 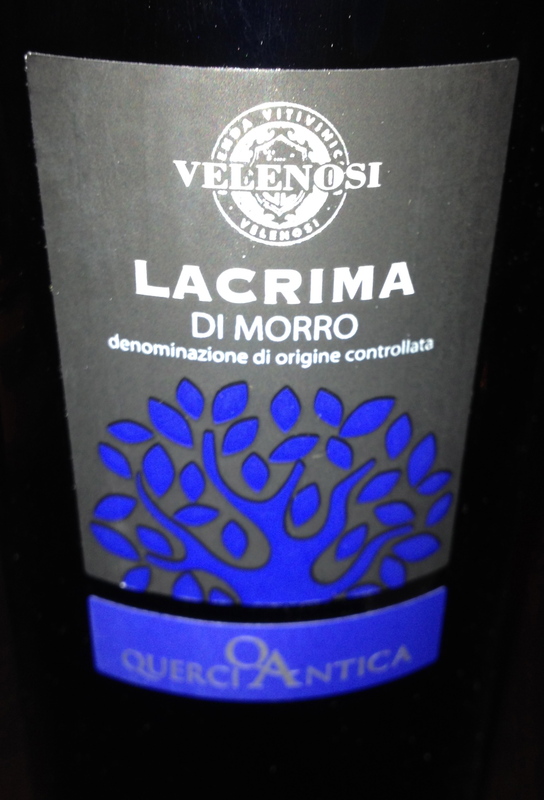 Lacrima di Morro 100% Lacrima di Morro d’Alba from company owned vineyards in the municipalities of San Marcello-Ancona at 100/150 meters. The soil is mainly clay, the training system is spur-pruned cordon and there are 5,000 plants per hectare. Harvest usually takes place in September. After destemming, the grapes are placed in temperature controlled steel vats. Maceration lasts for about 20 days with daily pump over. 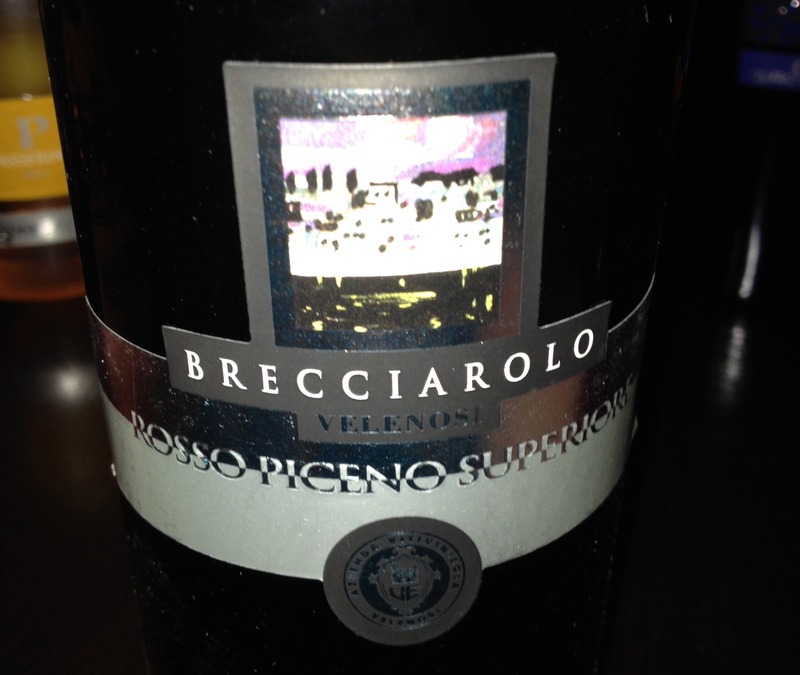 Ulisse said that this is almost done closed to save the fruity and flowery aromas of the grape variety. This is an aromatic wine with its own unique aromas and flavors. It has rich aromas of strawberry, marasca cherry and violets that seem to jump right out of the glass. It is full flavored, yet soft and lightly tannic with a hint of almonds. Ulisse said that Lacrima means tear in Italian, the skin of the grape is so delicate that when it is ripe a drop of juice falls. It can be served slightly chilled. 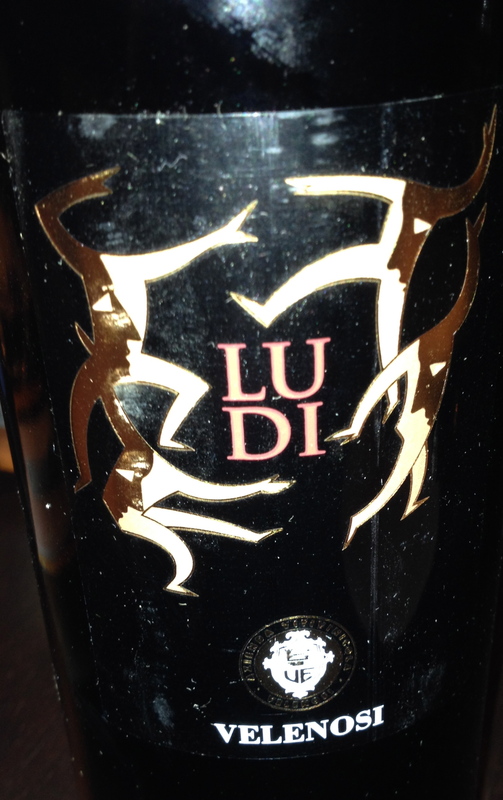 Ludi Offida DOC Rosso made from 50% Montepulciano, 30% Cabernet Sauvignon and 20% Merlot from company owned vineyards in the municipalities of Offida and Castel di Lama. The vineyards are at 200/250 meters, the soil is mainly clay, cordon trained and spur pruned. Harvest is by hand in mid-October. After destemming, the grapes are channeled into 200hl steel fermentation vats, equipped with temperature control. Maceration is on the lees for 20/25 days. After fermentation the wine is drawn off into new barriques selected by the enologist from a range of handcrafted cooperage and left to age for 18 months. The wine was then assembled. 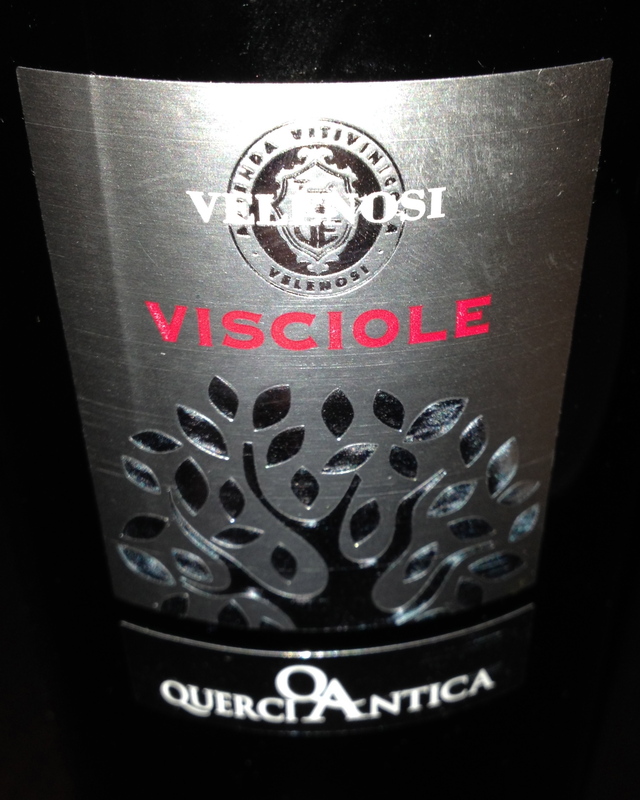 It has hints of ripe fruit: cherry and blackberry with a note of licorice. Rosso Piceno Superiore “Roggio del Filare 2010 70% Montepulicano and 30% Sangiovese. The vineyards are at 200 meters The training system is guyot. Harvest is in mid-October. After destemming, the grapes are channeled into 100hl steel fermenting vats, equipped with a programmable pump over system with temperature control. Maceration is for 20 days. The wine is aged in new barriques made from selected French cooperage for 18 months. It is a full-bodied wine with hints of hints of blackberry, cherry, spice and a touch of vanilla. Visciole made from 80% Lacrima di Mora d’Alba and 20% cherry syrup made from an ancient variety of wild cherry (Prunus Cerasus), dark red and sour tasting. The ripe cherries are collected the first weeks of July, and then macerated, partly whole and partly crushed, with sugar. It is decanted for a few days and then filtered. This triggers a fermentation, which leads to the final syrup, which is soft and fragrant. The result is syrup with a high concentration of sugar, which is blended with the Lacrima triggering a second fermentation. The wine and syrup are mixed. The fermentation is stopped at about 14% alcohol by volume, with residual sugar. Ulisse said that “flavored wines” are an ancient tradition in the Marche dating back to the Middle Ages when it was used as a method to preserve wine. The natural syrup helped to prevent the oxidation of the wine and made it more aromatic. Today this would not be considered a wine because it is not made 100% from grapes. It would be perfect with chocolate and as I was drinking the wine I wished I had a piece to go with it. All the wines are an excellent quality to price ratio.